ASOMA Instruments is the leader in low-cost benchtop ED-XRF instrumentation. The ASOMA PHOENIX II is an Energy Dispersive-X-Ray Fluorescent (ED-XRF) benchtop analyzer that offers extreme simplicity of operation in a low-cost compact design. 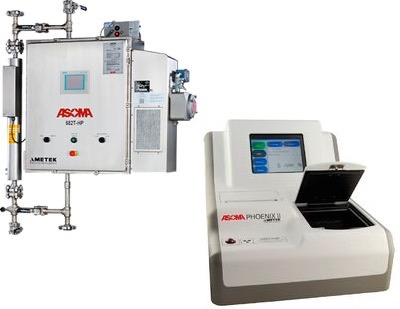 The ASOMA 682T-HP is designed for the on-line analysis of sulfur in highly viscous hydrocarbons such as crude and residual oil using XRT (X-ray Transmission) technology.